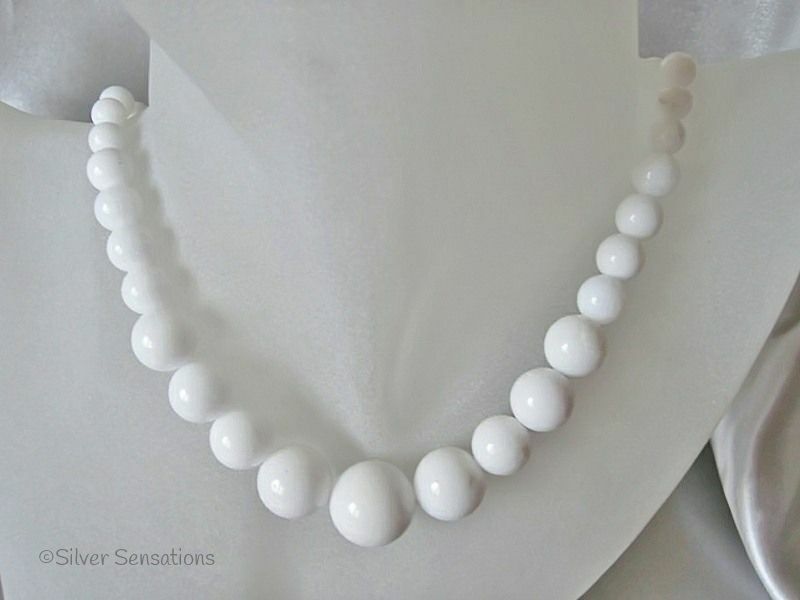 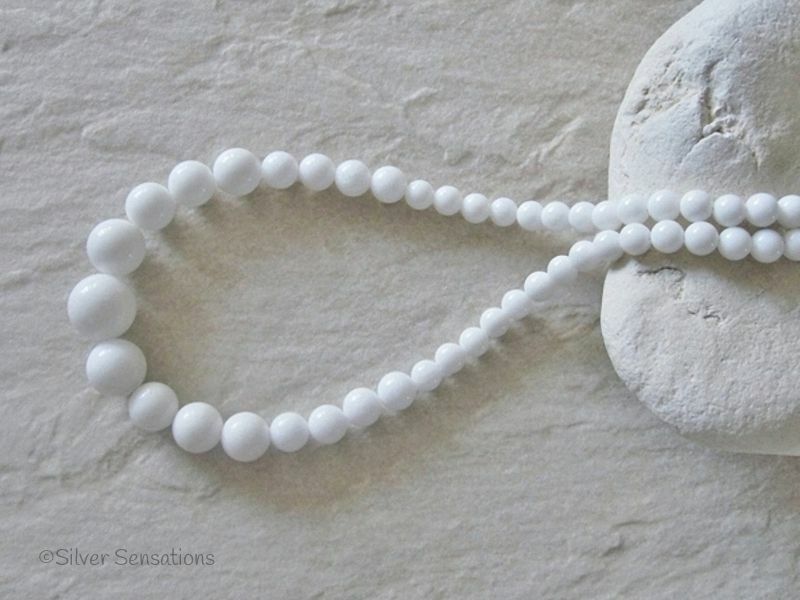 This strikingly white 1950's/1960's style necklace has been hand made using Snow White Jade round beads ranging from a huge 14mm bead at the front through to 6mm at the back. 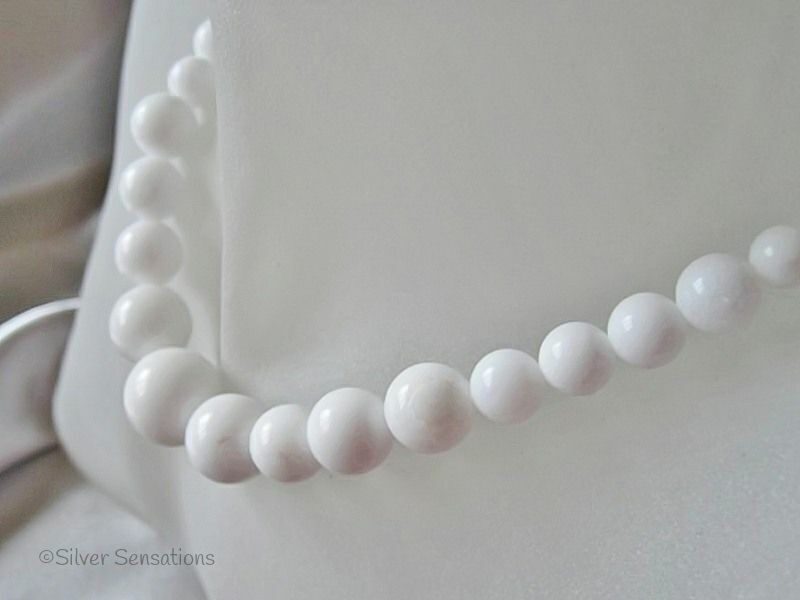 Measuring 18" in length, this necklace is finished with a Sterling Silver bolt ring clasp fastener & fittings. 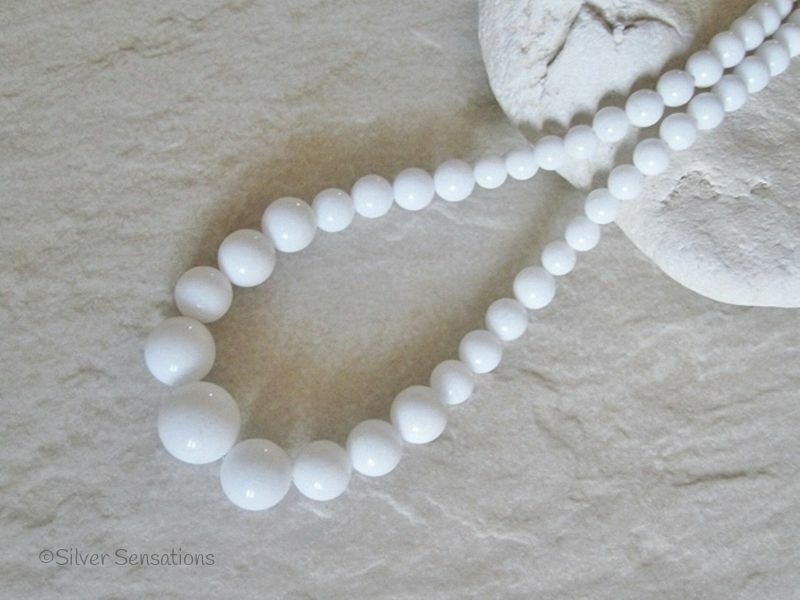 A really 'clean' looking necklace which will surely get you noticed. 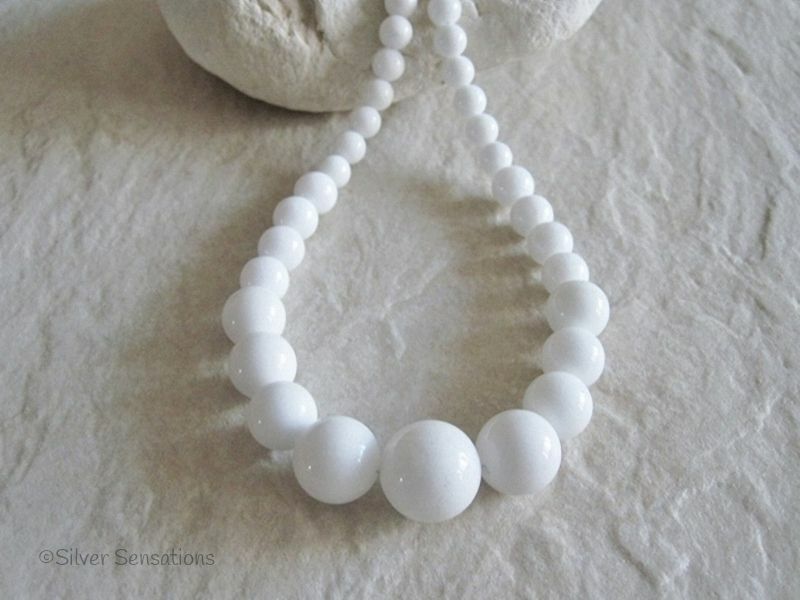 Being pure brilliant white this necklace will go with so many outfits at any time of year.